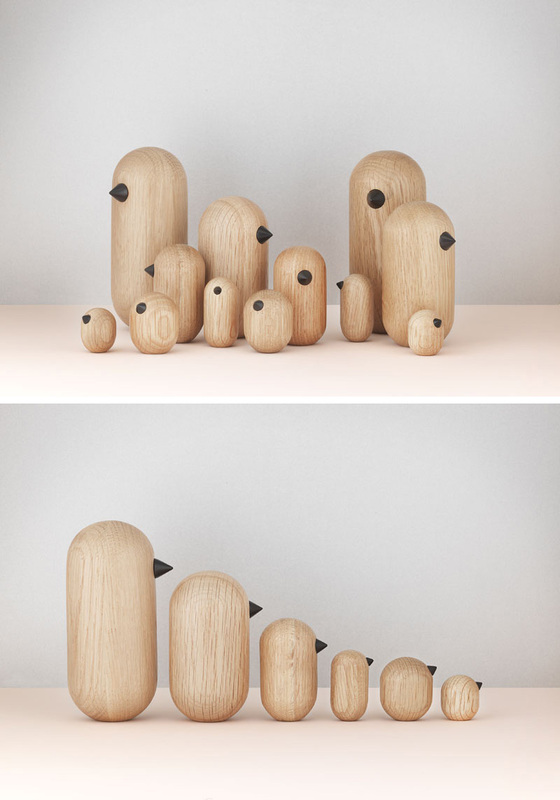 A piece of decor that never goes out of style is a set of adorable, minimalist wooden animals. 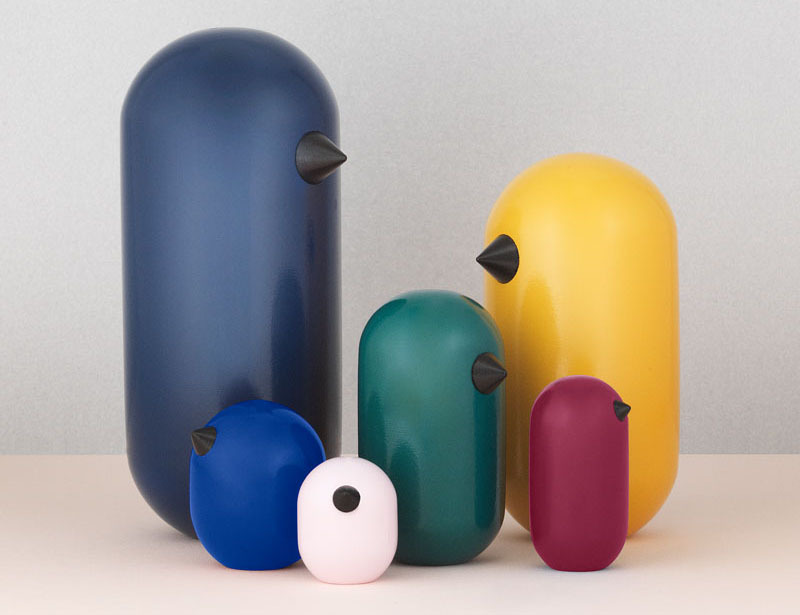 The Little Bird collection of simple birds, presented by Normann Copenhagen and designed by Jan Christian Delfs, is no exception. Inspired by the unique characters in the designer’s family, each bird comes in it’s own style and size. Each of the the colors are unique to the specific sizes, however the collection also comes in a solid oak range for a more uniform, classic look. 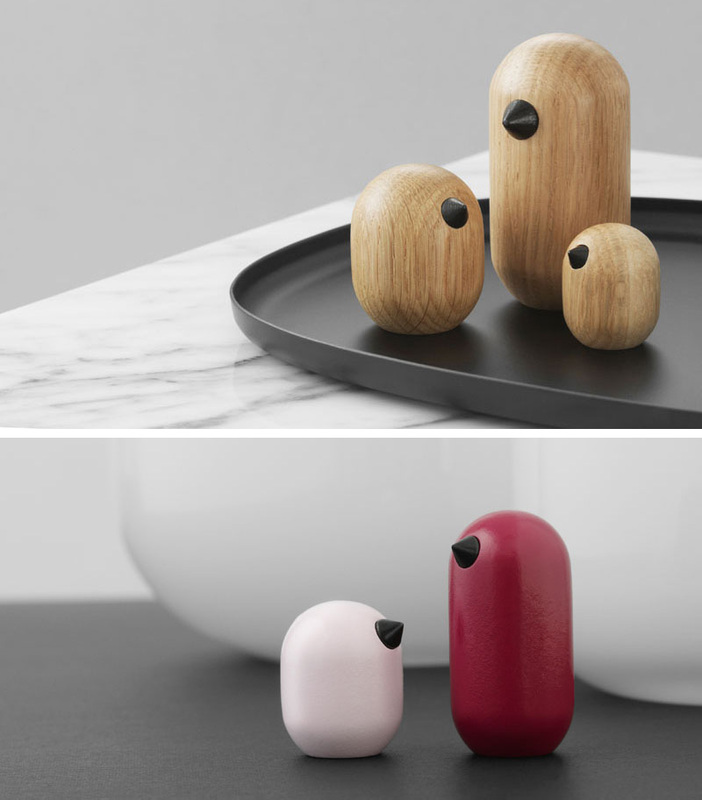 With their exceptionally simple design and the inclusion of small black beaks, the figures hit the sweet spot of being completely recognizable and wonderfully minimal.